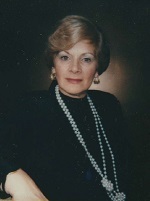 Doris Cooper Shelden, 85, of Commerce, Michigan, died on 19 January 2019. The Memorial Service was held at IRA KAUFMAN CHAPEL on Thursday, 24 January 2019 at 2:00 PM . Beloved wife of the late Don Shelden. Cherished mother of Marc (Karen) Cooper, Scott (Donna) Cooper, and Neil Cooper. Proud grandmother of Danielle, Melissa, Caitlin and Max. Adoring great-grandmother of three great-granddaughters. Devoted daughter of the late Max and the late Fanny Yovitz. Loving sister of the late Lee Brody. Also survived by Don's children, Debra (Bill Setten) Shelden and Lori (Bob Bliss) Shelden, and Don's grandchildren, Nick and Josh Setten.